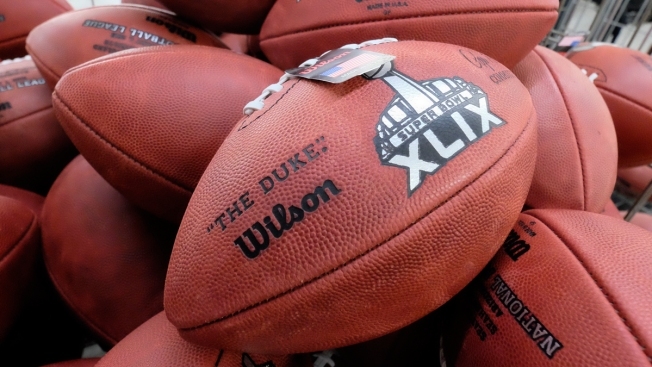 Official game balls for the NFL football Super Bowl XLIX wait for final inspection at the Wilson Sporting Goods Co. in Ada, Ohio, Tuesday, Jan. 20, 2015. The New England Patriots used footballs that were under-inflated in the first half of Sunday's AFC Championship Game against the Indianapolis Colts, evidence so far in the National Football League's investigation has found. But the team's footballs were properly inflated for the second half and confirmed to have been properly inflated at the conclusion of the game, the NFL said in a statement Friday afternoon. The NFL's investigation into the "Deflategate" controversy involving the Patriots is ongoing, and 40 interviews have been conducted so far, including of Patriots personnel, game officials and third parties with relevant information and expertise, the league said. The investigation is being led jointly by NFL Executive Vice President Jeff Pash and Ted Wells of the law firm of Paul Weiss. The league said it has obtained and is continuing to obtain additional information, including video and other electronic information and physical evidence. It has also hired an investigatory firm with expertise in forensics to assist in reviewing electronic and video information. "The goals of the investigation will be to determine the explanation for why footballs used in the game were not in compliance with the playing rules and specifically whether any noncompliance was the result of deliberate action," the statement said. "We have not made any judgments on these points and will not do so until we have concluded our investigation and considered all of the relevant evidence." The league said the Patriots have pledged their full cooperation and have made their personnel and other information available upon request. In the coming days, the NFL will be conducting interviews, examining video and other forensic evidence, in addition to any relevant physical evidence. Patriots Chairman and CEO Robert Kraft also issued a statement on Friday, saying that he received a letter from the league on Monday informing him of the investigation. He said he instructed Patriots staff to be "completely cooperative and transparent with the league's investigators." During the three days the investigators were in Foxboro, he said the team provided access to every full- and part-time employee the league's representatives asked to speak with and produced every communication device that they requested to search. "It is an ongoing process that the league and our team are taking very seriously," Kraft said. "Competitive balance and the integrity of the game are the foundation of what makes our league so special and I have the utmost respect for those principles. Our organization will continue to cooperate throughout the league's investigation." The NFL began looking into the issue not only because doctoring the footballs could provide a competitive advantage, but because it would compromise the integrity of the game. 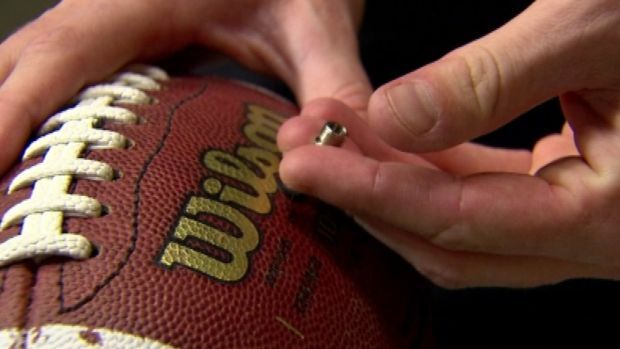 Deflating a football can change the way it's gripped by a player, or the way it travels through the air. "Our investigation will seek information from any and all relevant sources and we expect full cooperation from other clubs as well," the statement said. "As we develop more information and are in a position to reach conclusions, we will share them publicly." University of Indianapolis football players take part in experiment to demonstrate the potential advantages of a partially deflated ball. No timetable was given by the NFL for when the investigation might be wrapped up. Patriots quarterback Tom Brady has denied altering the ball "in any way," saying that he would never break the rules. Coach Bill Belichick said he had "no explanation" for what happened, and like Brady said the first he heard of the entire ordeal was on Monday morning. The Patriots will take on the Seattle Seahawks in Super Bowl XLIX in Glendale, Arizona, on Sunday, Feb. 1. UpdatedBelichick: "No Explanation" for "Deflategate"